What better way to have the potassium-rich antioxidants of blueberries than in individual, resealable, puncture resistant pouches?! 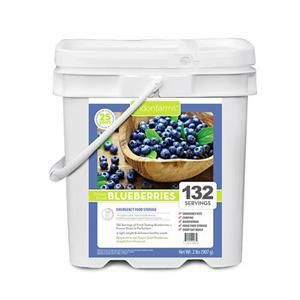 These freeze dried blueberries are ideal to store for up to 25 years, or to munch on-the-go. 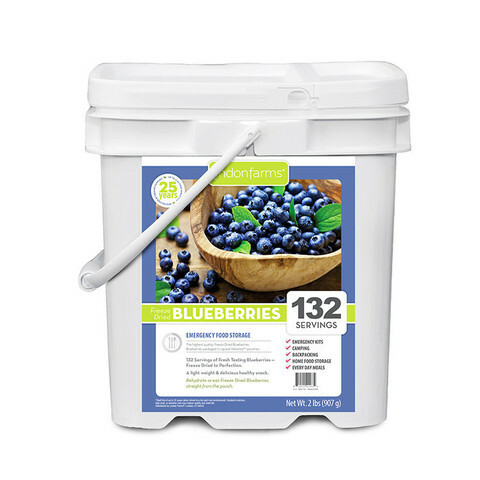 Separate pouches packed into a portable pail make Lindon Farms Freeze Dried Blueberries a no-brainer for your family's food supply!